After graciously accepting the bouquet and expressing thanks for it, Manisha Khetarpal then presented it to Early Childhood Development Teacher Lucinda Mind-Johnson in appreciation for all her help. 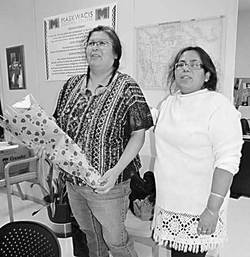 Maskwacis Cultural College at Maskwacis (formerly Hobbema) celebrated Family Literacy Day in late January as a special occasion with literacy related activities for everyone. The day began quite formally with a welcome address by Executive Director Patricia Goodwill-Littlechild, information on how to book the C.O.W. Bus, storytelling by Jerry Saddleback Sr., and an address by guest presenter Dr. Ozlem Cankaya titled "Facilitating Emergent Literacy Skills." After a lunch break and bow making demonstration by Jerry Saddleback, various kinds of interactive resource sharing were available in several rooms and on the C.O.W. Bus. The guest speaker, Dr. Ozlem Cankaya, gave a very well received presentation on ways to help young children develop strong literacy skills for life. The Alberta Prairie Classroom on Wheels (C.O.W. Bus) was parked by an entrance to Maskwacis Cultural College for visits by pre-schoolers and their parents and also elementary school classes touring the afternoon activities. The C.O.W. Bus is filled with books and many homemade activities which fascinate children and are easily and inexpensively prepared at home. For example, there were colour mixers, ovals about six inches long, made from transparent plastic sheets of two different primary colours. Look on one side, and each might be blue or yellow or red, but turn them over and each would be a different colour. Look through them toward a light, and they turn a third colour, the one made by mixing the different colours on each side. When parents visit with their children, they see how interesting their children find these activities and learn how to make them as well as learning more about the kind of everyday activities which prepare children for success in literacy for life. The C.O.W. 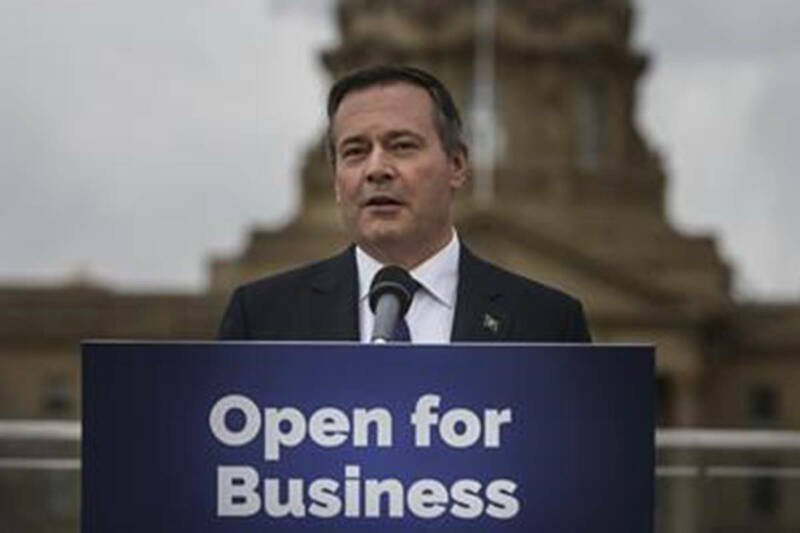 Bus has been in operation since 2003, and has a mandate to visit 70 rural communities in Alberta each year, which means that it does not accept bookings in Edmonton or Calgary, the major cities. With each visit, a small library of quality children's books are left with the partnering agency for availability to families, frequently as part of a library. Fifty books were left with the college library. In 2013, 5700 books were given out in this way. Within Maskwacis Cultural College, there were a variety of activities. In one room, tables were stacked with about 20 titles of children's books being given away free along with bags to carry them. An indigenous crafts room offered a hands on opportunity to make a Story Box or Dolls or Puppets. Science students from the University of Alberta's "Let's Talk Science" program were doing science experiments with their young visitors. Lesley Schatz-Misiak, a drama instructor at the college, did presentations on making paper mache puppets and showed ways to use them with a simple cardboard puppet stage. There were opportunities to make a bookmark or a paper chain, and several opportunities to read a book or listen to a story. A number of classes from the local schools were brought over to enjoy the displays and activities. When the afternoon activities were over, the staff gathered to debrief, which included presenting the Librarian, Manisha Khetarpal, with a bouquet in appreciation of her role in planning and making arrangements for the day. She graciously accepted the bouquet and expressed appreciation suitably, then gave the bouquet to the Early Child Development Teacher, Lucinda Mind-Johnson, in appreciation for all of her help. It was a special time.